White Wedding Cakes London – Designer Wedding Cakes for your big day! If you’re having a white wedding then a white wedding cake would be perfect for your big day. 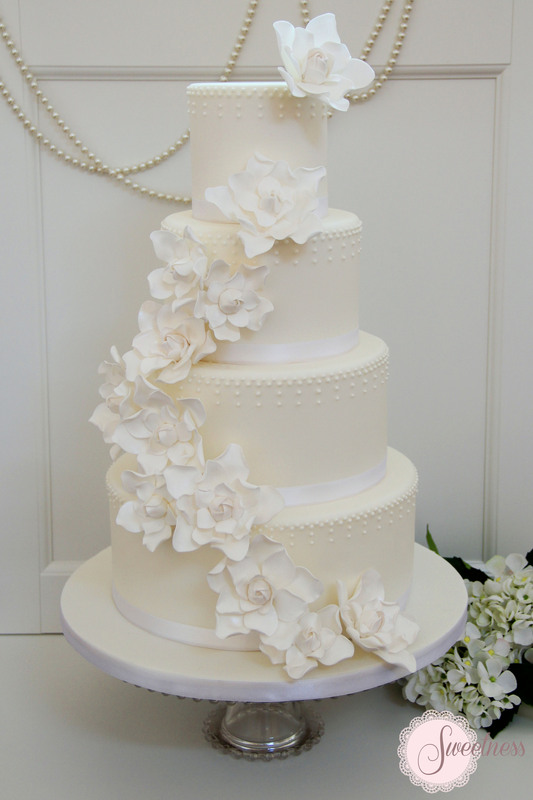 White wedding cakes are timelessly beautiful and can look very elegant in any wedding setting. 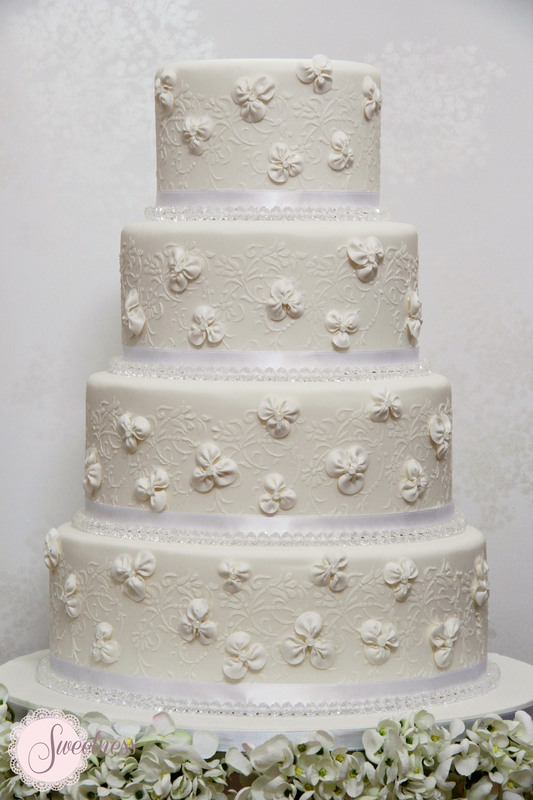 Just because your wedding cake is all white doesn’t mean that it will look plain. There are many ways to make your white wedding cake a show stopper. 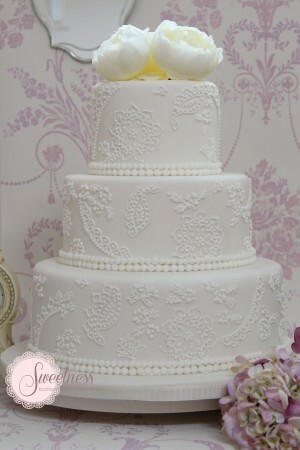 Sugar flowers, beautiful piping work and gems all work beautifully with white wedding cakes and add to their elegance. Sweetness creates wedding cakes and confectionery in London and Greater London. If you would like to commission a wedding cake from us please feel free to contact us for more information.